Our professional trainers revealed some of their most essential tips on how to improve your LinkedIn profile. We want you to be able to use LinkedIn’s potential to the fullest! These tips will make it easier for you to get hired by assisting you with finding jobs, clients, or finding a business partner. So don’t miss out on these essentials! It will assist you greatly with your networking needs and reaching long-term career goals. 1. Personalize your LinkedIn profile URL…like a boss! Make your LinkedIn profile look professional and unique. The standard setting of your profile URL looks quite confusing and contains random numbers and letters. You can customize your URL in your settings – this is done by changing your public profile URL, which is located on the right side of the page. Or go to Account & Settings and choose Privacy & Settings then click on Edit your public profile further down. On the right you will find the section labelled ‘Your public profile URL’, and you can then click on the blue pen beside your current URL. Especially if you have made connections with people already, updating your profile will appear on their news feed and your “Wall” in form of update notices. This can lead to unwanted side-effects like stuffing your connection’s LinkedIn news feed. To avoid that side-effect, simply turn of Notify your network on the right side of your profile. In 2014, LinkedIn finally rolled out the option to set up a background image. Make your profile visually more appealing! Make it look awesome! Just keep in mind: LinkedIn is a professional network, so it’s better not use that selfie you took last weekend with that cute little cat. Set up your photo now and gain more attention! Go to Profile>>Edit Profile and click on Add a background photo. If you already have a background photo, then hover it and click on Edit Background. Your profile picture is probably one of the most important elements of your LinkedIn presence. Having a picture not only makes your profile 14 times more likely to be viewed by others, but it will also be the first impression that people will have of you as a professional. Think through how you want to portray yourself to your potential clients. It is recommended that you pay for a professional photographer to get a professional looking profile picture. So brush your teeth and grab a smile! Make sure your picture is up-to-date and really looks like you. The right expression is very important. Appear approachable and warm. Wear clothes that you would wear to work. Choose the right background! It shouldn’t be distracting. Your face should take up at least 60% of the frame. If width or height exceeds 20,000 pixels, your photo will not upload. This will make you look like a damn programer! Badges are clickable buttons that will lead directly to your LinkedIn profile, and you can easily copy and paste these personal badges. Linkedin has already prepared everything for you, here. Or go to Account & Settings and choose Privacy & Settings then click on Edit your public profile further down. On the right, you will find Create a public profile badge, and by clicking on it, you will get to the badges page where you can choose from many different designs. This is a very useful LinkedIn feature! 6. Make your summary shine! The summary is probably the most powerful tool you possess on your LinkedIn Profile, as it is the heart of your personal branding. State your superpowers and the things you can do better than anyone else! What is it that differentiates you from others? What are your passions? What have you accomplished so far or what are your current projects? What is important to you? Don’t forget to include external feedback, such as testimonials from others. Decide on the writing perspective that you want to use. You can choose either first or third person, but remember to stick to it throughout your summary. Also, start with something catchy that makes your visitor interested in your awesome personality – yes, everybody is awesome in some way! Check out 3 steps to writing the perfect LinkedIn Summary. This sounds like some crazy nerd stuff but don’t worry, it’s actually pretty easy. To make your profile appear in the LinkedIn search results, you should think of some keywords that relate to you. Try to find at least 10 keywords and add these to various sections of your profile: For example in the headline or in your summary. 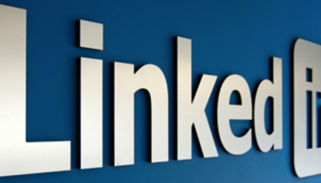 The 3 most important LinkedIn Profile SEO places for relevant keywords! 8. Don’t be shy, be visible! Allow your potential visitors to view your profile! Make changes to this feature by going into your Account & Settings (thumbnail in the top right) and choosing Privacy & Settings. Then further down Select what others see when you’ve viewed their profile. It is Recommended that you check off the Your name and headline option. This will also allow you to see your own visitors later on. This is crucial to connect to new people! You can see the profiles of other group members, and more importantly, you can bypass the need for a first-degree connection in order for you to send a message to them. Don’t forget to participate if you can! This will make it more likely that you will be viewed and also allow you to make new professional connections. Get out there! 5 Ways to use LinkedIn Groups to build influential connections! You don’t have to be an angel, but be careful about what you state in your profile. Lying is not tolerated in the professional world. Especially nowadays when persons can easily find out about your education and job history. You don’t want to appear untrustworthy. When you want to create a new connection with another professional, all you have to do is to send them an email request. Change the standardized request to something more personalized. That makes a huge difference. You don’t know what write in your request? There are plenty of templates! Use your LinkedIn profile to create a professional resume! LinkedIn offers the Resume Builder tool for free. It just takes a few minutes to create a customized resume. Choose a suitable resume template that you like then edit it. Then export your resume as a PDF. Do you want to know more about LinkedIn? Stay tuned for more tips and tricks! Or come and visit us in Tenerife and attend our Online Marketing courses!